This season the Kayseria Winter Collection aspires to bring cultural heritage art from the hearts of Swat and Kashmir valley to its prints. An assortment of rich tribal and aztec prints in luxury winter fabrics are brought forth and the striking geometrics give the whole thing an ethnic modern spin. Rather than using large busy floral prints which are completely dated, Kayseria takes a fresh approach that we love. Mixing micro prints with statement bold printed necklines and borders is an extremely effective alternative. We are simply charmed by the separate sleeve prints and touches of bright color splashes to the sober rusts, navy, mustard, and browns. To further stress the ethnic note, Kayseria also includes for the first time, separate exquisitely handcrafted ornamental accessories for enhancing your look. 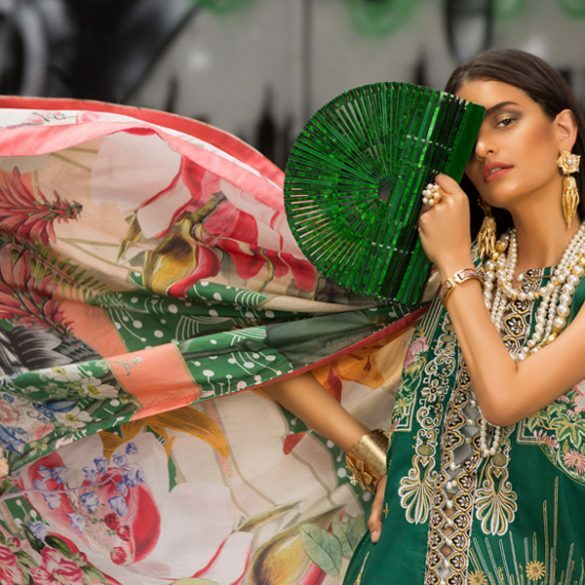 These include statement beaded necklaces, tassles and brooches, and beautiful embroidered borders with a tribal cultural allure to set you apart. Now you don’t have to go running around looking for matching laces and buttons! This is a wonderful innovative addition by Kayseria and there is an array of choices available. Now for the good news! Kayseria is giving away a lovely print from its Heritage Winter Collection to one lucky Secret Closet fan. For a chance to win, simply click ‘Like’ and answer the following question in the form provided below along with your details and click on submit. It’s that easy! We will choose one winner through a lucky draw so keep your fingers crossed! The winner will be announced on Tuesday 20th November 2012 so hurry! Who is the model for Kayseria’s Winter Heritage Collection? Bollywood Blast: Stars Celebrate Diwali!